Stay in the home of London’s entertainment and theatre district just steps from The Nadler Covent Garden Hotel 4*. 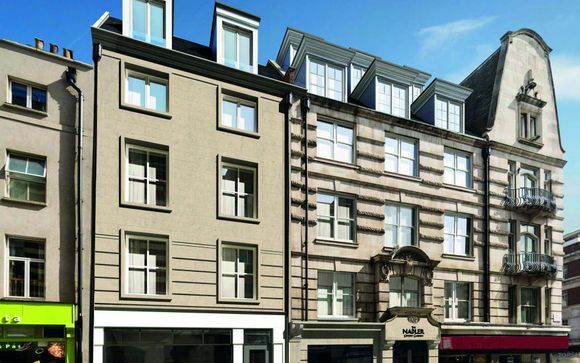 This brand-new property is the latest addition to the Nadler group, superbly located for exploring the city by foot. Sleep in a comfortingly British room and wake up feeling refreshed and ready to explore the entrancing city of London. Just a few minutes walk from the main piazza in Covent Garden, The Nadler Covent Garden Hotel 4* settles you right in amongst the excitement and fun of this theatrical area of London. You can visit the extremely popular independent market stalls and be inspired by the street performers that frequent the area entertaining the masses of tourists that flock to this enigmatic place each day. 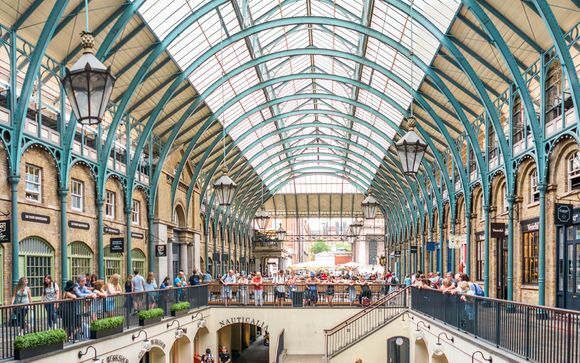 There is so much to do and see in and around Convent Garden that allows guests to immerse themselves in the London culture and see for themselves how diverse and unique the city can be. A popular spot for shopping and dining is Neal’s Yard, a beautiful little courtyard with colourful shop fronts that sits in a corner of Covent Garden and is a charming place tucked away from the hustle and bustle. 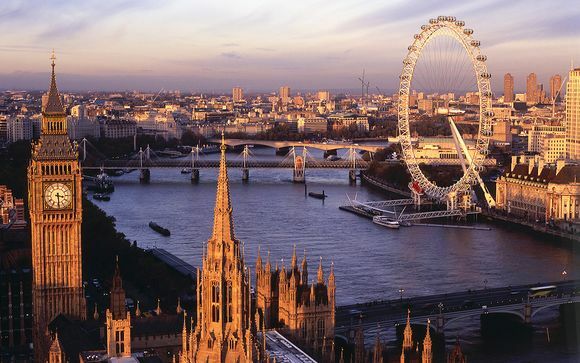 See the street performers outside the iconic St Paul’s Church; take a trip to the London Transport Museum or The British Museum and be wowed by the Royal Opera House. A short walk from Covent Garden you can find the famous and always colourful Carnaby Street for shopping and then head to Chinatown to experience the culture and try some delicious street food. 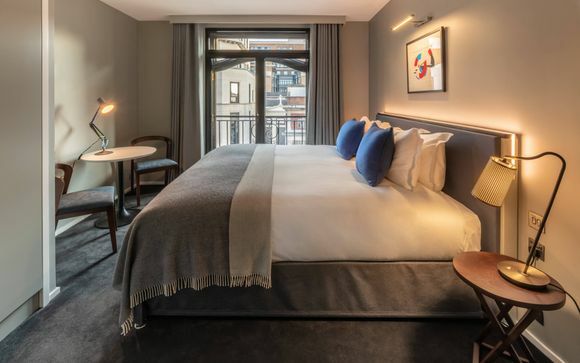 The Nadler Covent Garden is a brand new hotel situated perfectly in this lively and vibrant district of London where guests will be able to step out of the hotel and straight into the excitement. Stay in an elegantly furnished room with stylish accents and handmade touches from local designers that enhance the authentic city feel of the place and bring a focus on British craftsmanship and quality designs. 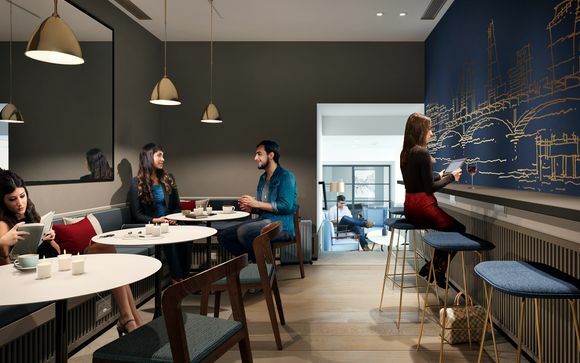 The interior of the hotel has been carefully considered to create a haven of peace and calm against the outside hustle of the city and will become the perfect place for you to relax and refresh ready for a new day of exploring all that London has to offer. This offer is based on a Standard Room (15.5m²) or a Superior Room (22m²). 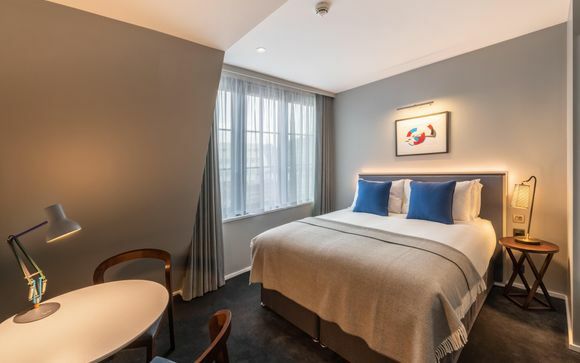 All of the rooms at the Nadler Covent Garden are brand new and have a contemporary, chic style that reflects the city beyond. The modern colours and light décor give these rooms elegance and sophistication while providing a tranquil comfort too. The rooms are furnished with authentic British designs and furniture made locally that give this hotel a unique charm while also providing everything a guest might need. A full mini-kitchen with Nespresso Coffee Machine, TV, Wi-Fi, safe, hairdryer and other amenities make for a pleasant, easy stay. This comfortable room is 15.5 square metres and ideal for solo travellers or couples. Complete with a pocket-sprung double bed, mini-kitchen, a modern en-suite bathroom and walk-in shower this room is great for a good night’s rest ready for the new day. This room is ideal for families or groups of three with the larger 22 square metres size that can fit a king size and a single bed or three singles. The hotel has partnered with some local restaurants to give guests a taste of the finest food in London for a discounted price or with an exclusive offer as part of your stay. This partnership is also important in supporting local businesses and the community. Guests can enjoy 20% off food in a wide variety of popular restaurants such as Beso, 68 and Boston, Macellaio, ZIMA and Shoryu Ramen. As well as the range of restaurants on offer in this area, the hotel has also catered for people who would like to stay in and eat from the comfort of their room. The hotel encourages guests to use the many delivery services available to them at no extra cost such as Deliveroo, UberEATS and FEAST where you can order food from your favourite restaurants straight to your hotel room. Guests can then prepare their food in the luxury of the in-room mini kitchen that is equipped with everything you might need including a microwave, kettle, Nespresso coffee machine, cutlery and chopping board. The hotel will also stock up your mini fridge for at your request with their fridge fill service that will have your favourite snacks chilling, waiting for you to return from a busy day. This city hotel provides a comfortable, fully equipped room that is ideal for a relaxing evening and a good night’s sleep before an adventurous day in the city. The rooms have all the amenities for a relaxing time while the city has everything you need for an exciting, fun-filled day. As the hotel is in the midst of the excitement in Covent Garden, there is the opportunity to get exclusive discounts from some activities that the hotel is partnered with. A popular activity would be the Ghost Bus Tour where guests can experience a comedy-horror theatrical journey taking you through the streets of London. Distance from Covent Garden Underground Station to The Nadler Covent Garden Hotel: 500m /6-minute walk.